The Financial Readiness Score comes on line just weeks before new pension plan options for veterans are expected to take effect. Just weeks before new pension plan options for veterans are expected to take effect, USAA launched a digital tool to help military personnel plan for retirement and address other financial goals. 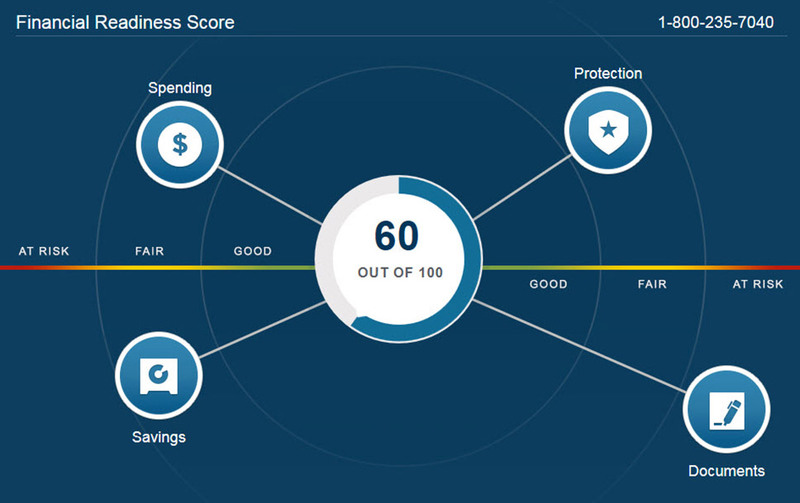 The Financial Readiness Score (FRS) allows any of USAA’s 11 million members to review their overall financial well-being, including retirement, savings, investments and insurance, then develop an action plan to protect against financial risks. The FRS is part of the firm’s “Always On” financial planning program designed to keep pace with changes in members’ financial lives and the financial markets. The FRS Score, which can range from zero to 100, looks at four key areas: spending, saving, protection (insurance) and legal documents. Once USAA members have answered all the questions in each area – it takes about 10 minutes, according to USAA financial planner Joseph Montanaro, – they will receive a score from zero to 100 with recommendations on what areas need work. Also included is a recalculation if a member leaves the military. With the score in hand, members can then set an action plan to protect against financial risks and arrange to speak with an advisor by phone or in person to set up a financial plan. “USAA’s mission statement is to help its members be financially secure,” Montanaro said in a recent meeting in New York. “We want everyone to have a financial plan. The environment is always changing so having that plan is critical.” It’s especially critical now given the volatility in financial markets, Montanaro added. USAA conducted a pilot study of nearly 141,000 members, divided into four age groups, to test the FRS tool, and then analyzed the results. Except for the youngest group, between 18 and 24, retirement savings led as the area that needed the most work, with about 25% of each of those age groups needing to create an action plan for that. (Emergency funds led in the youngest group, followed by retirement savings.) About 20% of all respondents needed action plans to reduce debt to no more than 36% of income and 15-20% of respondents overall lacked sufficient life insurance. The final legislation is expected to include a provision that replaces the current military pension plan, which requires 20 years’ service, with a “blended” compensation system featuring a 401(k)-style investment plan and a “lump sum” option at retirement, effective in 2018. Nearly all military members would leave with some retirement funds. Currently only about 20 percent do.